Categories: Civil Rights, Crime, human rights, immigration, Juvenile Justice, neoliberalism, Prison, Punishment, Women. 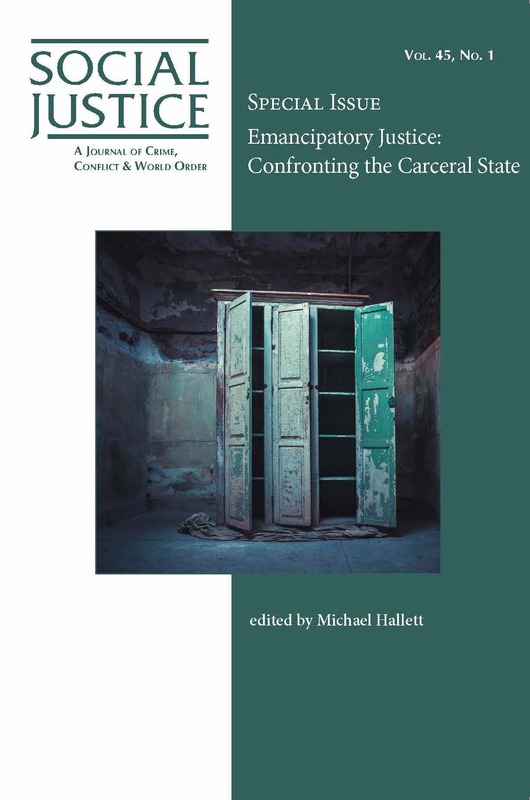 This special issue of Social Justice expands previous editions’ explorations of emancipatory justice and incarceration. The issue begins with the premise that addressing structural violence is the greatest single challenge to establishing mechanisms of emancipatory justice. 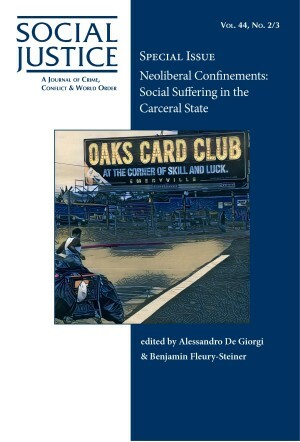 Looking beyond the prison walls, contributors identify areas in which new forms of leadership and advocacy may emerge that both articulate alternative visions and overcome the inertia of despair and political intransigence. Emancipatory justice requires an agenda for confronting the penal state, and each article in this issue concludes with a specific agenda for activism and citizen mobilization. Edited by Michael Hallett. Contributors: Marc Mauer, Diana Johns, Jennifer K. Wesely, Susan C. Dewey, Judith Greene, and Michael Hallett.